As far as we know, motorcycles are not allowed on this trail, so you will have to switch to a 4x4. If you've never done this trail before, you're missing out. 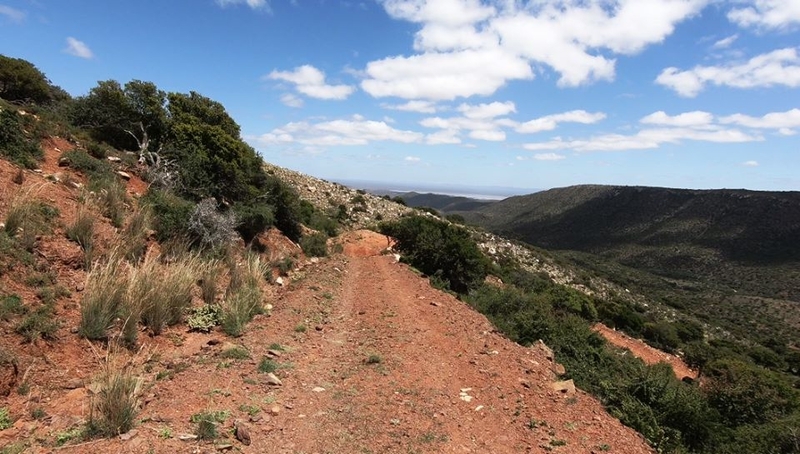 Whilst the trail seldom reaches Grade 3 and is mostly Grade 1 & 2, it is the exceptional diversity of the scenery on this 47 km long route that makes this a bucket list destination. We recently filmed the route (Dec 2017) using a stabilised GoPro 6 which delivered good quality, crisp imagery. This is the longest video set we have produced to date and covers 14 separate videos totalling 66 minutes. If you want to persuade SWAMBO that this is a good trip to do, sit her down, get her some popcorn and let her see what it's really like. This one is a winner with guaranteed game sightings, and lots of "wow!" moments. For the technical drivers there are a couple of tricky sections (like a bouldered traverse along a river bed) and enough hairpin bends to keep the most jaded drivers happy. The video set is thorough in terms of research, history with a special focus on the Anglo Boer War and the plight of the Addo elephants. There are some deep lessons to learn in terms of conservation. As usual the page is open to all Wild Dogs members till this time next week. Enjoy!